With Christmas being the time for giving I had limited myself to 1 Christmas burger but with Byron, Honest and Hawksmoor all doing a Christmas Special that I wanted; I had a big decision to make. Big decision maybe over doing it, but in terms of a burger... huge! 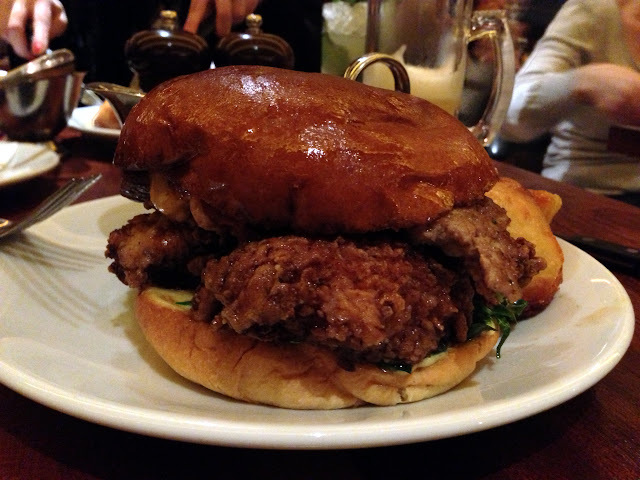 With Hawksmoor offering turkey rather than beef they pipped the others to my money, me being a traditionalist. 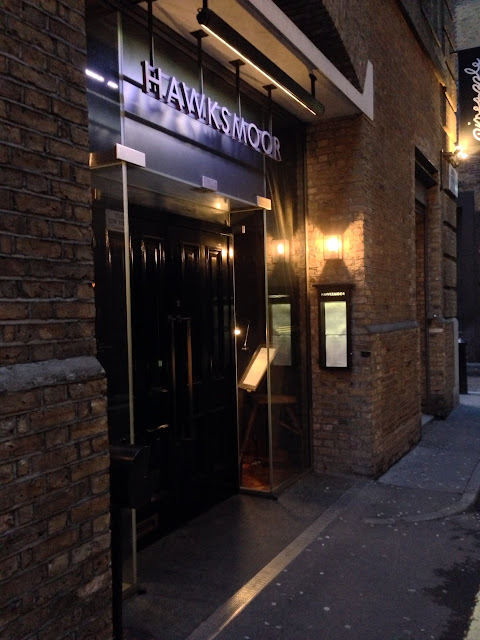 Seven Dials was the only Hawksmoor restaurant showcasing the burger and this was my first visit here. It has a similar décor as Air Street and Guildhall with this being a smaller, pub feel environment. Christmas was nearly cancelled as the waitress said they had run out of the special thankfully however I had made a BIG note on my reservation to reserve the burgers, and they had saved 2 for us, Christmas was back on. 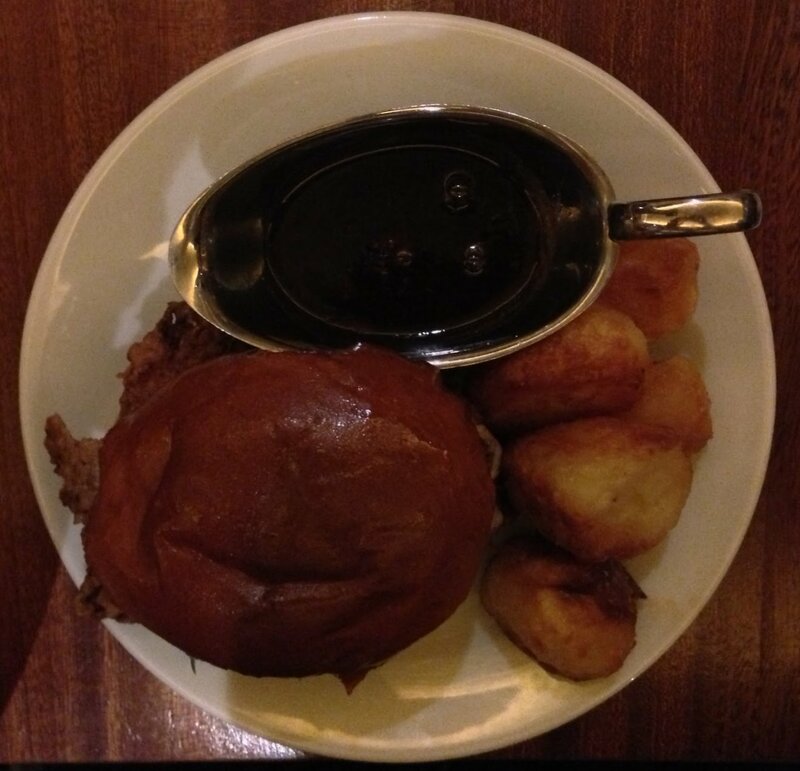 The burger arrives and is one of the best presented I've seen, the burger shares the plate with a gleaming silver gravy boat and a handful of golden roast potatoes. The dry turkey that can ruin the Christmas dinner is gone and replaced with buttermilk fried moist turkey. 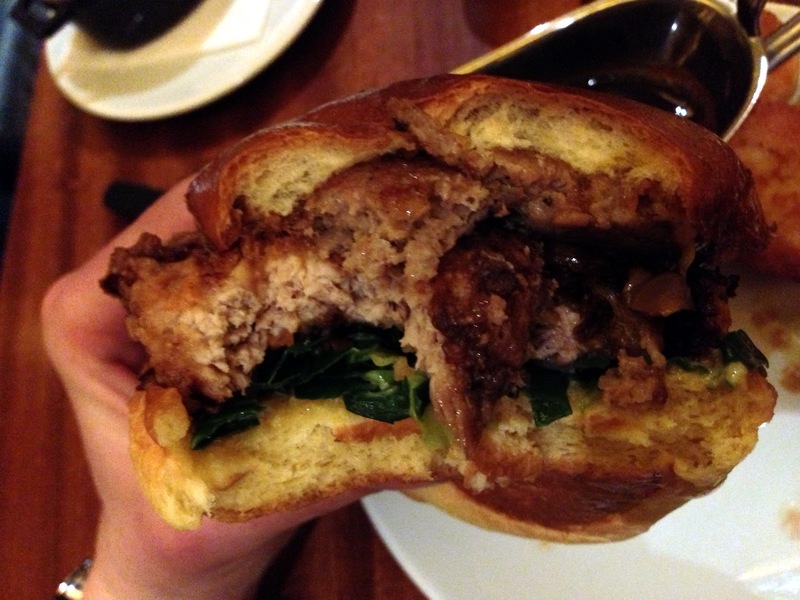 The darker meat of the bird was used in my patty which was probably essential to give the moistness that it delivered. Sitting on top of the turkey was the stuffing element of your dinner and it is the most delicious, mouth wateringly gorgeous sausage meat I've tasted. 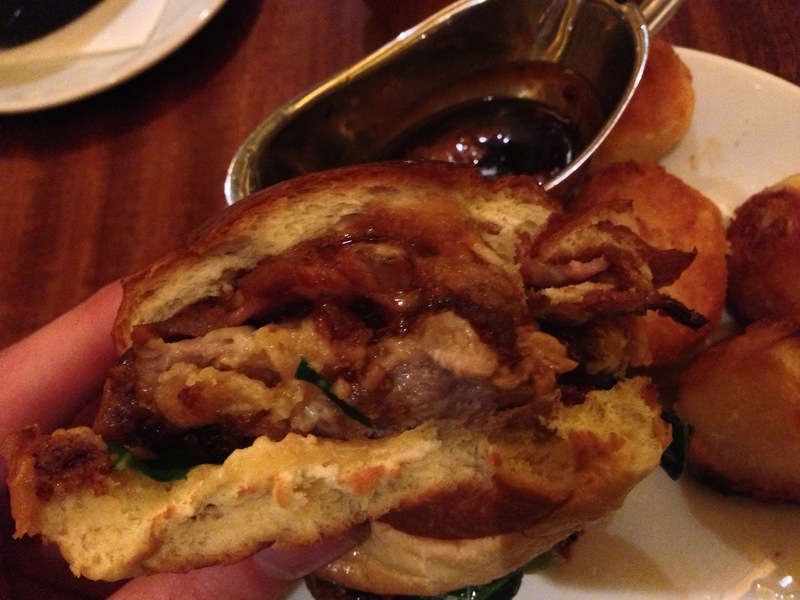 It's Ginger Pig Tamworth pork, and it really stood out in every mouthful. The smoked bacon was curled and due to this not in ever mouthful and slightly fatty but when it worked it worked really well with a huge smokey flavour. The sprouts and cheese gave a flavour and texture that complimented the main elements however I didn't pick up the spiced cranberry ketchup at all. Dipping the burger into the gravy was great fun, but it did cause the top of the bun to stick to your fingers and rip away, in quite a messy way that didn't really suit the meal. Structurally it was leaning a bit here and there, but was kinda to be expected, especially with throwing it in the gravy boat. 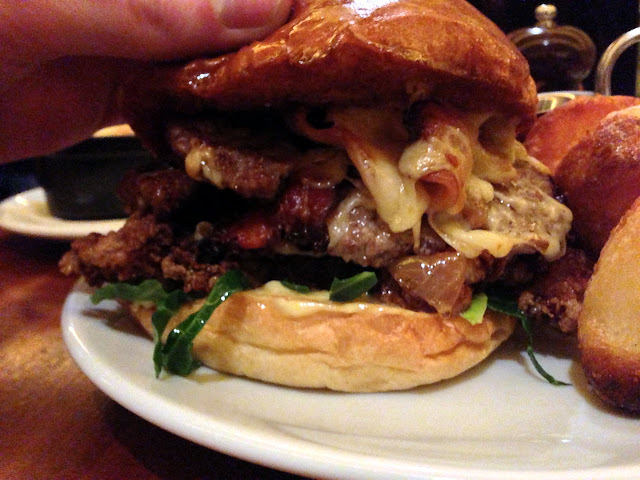 By far the most filling burger I've had ever, it really gave the feeling you have after an actual Christmas dinner, you know the one where you can't move and want to be rolled onto the sofa? 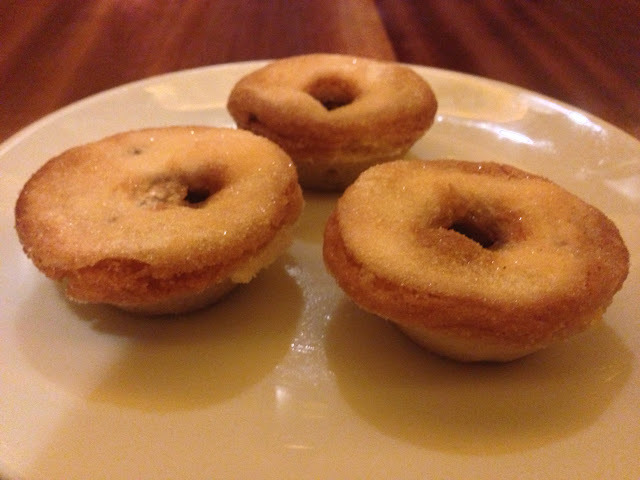 I still managed to order these little mince pie treats. The mince was similar to every other mince pie I'd had but the pastry had been baked to a deliciously buttery crisp. An amazing experience that has so many different flavour's and textures and an incredible idea from the guys at Seven Dials that will hopefully continue for a few weeks into 2013, but you may have to wait for next Christmas.